Founded 18 years ago, it is fair to say NextGen are at the top of their game when it comes to the Casino industry. With these many years of experience, the company prides itself on the new gameplay elements it has created in its line of slots. The slots focus on giving players a more personal experience. Features such as the slide a wild where the player can manually place a wild symbol to advance themselves in the game and inevitably increasing their chances to win big are just a few reasons why NextGen, and more importantly, the Snake Charmer, deserves your attention. discover more additional features of this brilliant game. With a lucrative Indian theme, this 5 reel, 25 pay line slot-game is set up against warm orange sunsets azure blues and greens that are sure to awaken your senses. 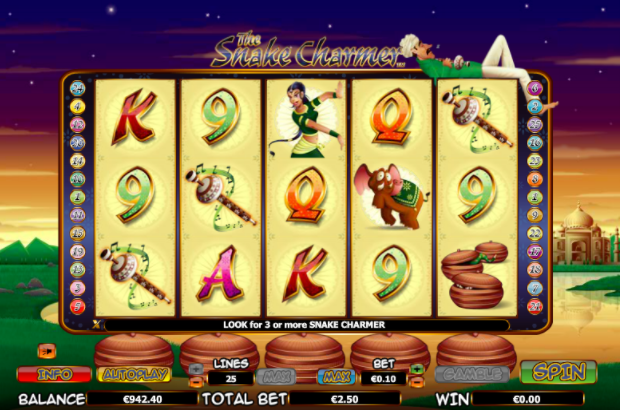 Come on and slither in to find your fortune with this latest addition by Eyecon. What hits you straight away with this charming slot-game is the different features that exist, compared to what you would expect in other casino slot games. For instance, multipliers do not exist, but if you land the wild symbol, it will expand and fill up the whole reel. The scatter symbol is the Snake charmer himself, land 3 of these and you will activate the Free Spins Feature and up to 10 free spins will be yours for the taking! During these free spins, be sure to keep your eyes peeled for the hypnotizing snakes that fly up from their baskets underneath the reels. As they advance up the reel, they can turn the cards wild. The wildcard itself is a snake and a very sought-after symbol as there are 5000 coins for grabs if you can secure 5 of them in a single pay-line. From just 25p to start spinning, surely that is enough to tempt you to try yourself at a large fortune! Also, with a max bet of £50, this delightful slot-game accommodates for all kinds of gamblers, risk takers or time passers! Easy online slots with free spins awesome! 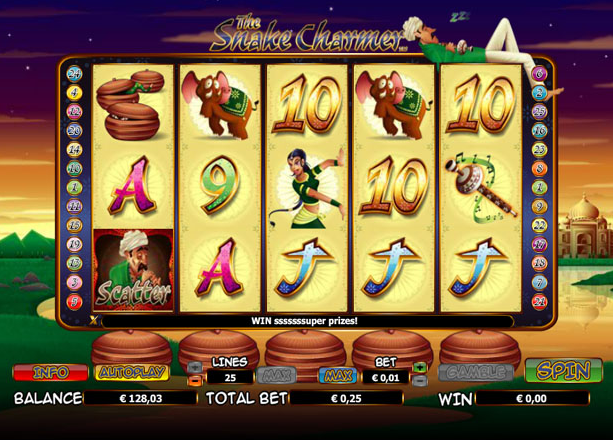 The gamble feature is activated each time you land a winning combination by clicking on the ‘gamble’ button. With this feature, you stand a chance of doubling or quadrupling your winnings. Guessing the colour of the card will double your winnings and guessing the suit will quadruple them. As a result, this slot-game is far from the hiss and miss you might expect in other casino games. Having the ability to guess the colour and suit of the card provides just something a little different from the other casino games you may have encountered. You can find out more about all the Pariplay games on this site. With a minimum spin of 25p and a max of £50, this quirky slot-game caters for all types of gamblers, those who enjoy taking a risk or those who simply want to be entertained for 10 minutes without breaking the bank. Which one are you? 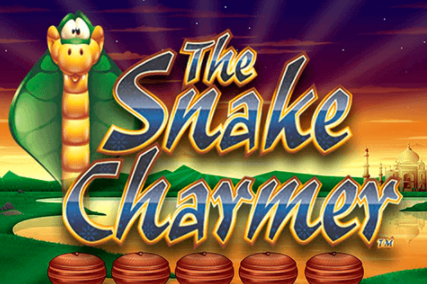 If you've enjoyed playing the snake charmer, then visit Easyslots.com, more popular online slots are waiting for you!